Description: Ijen volcano in Java, Indonesia. It is known for having a fantastic blue fire. This short film contains valuable cuts that drone aerial shot of the blue fire overhead. It also records the appearance of people working as Miners at Ijen Volcano. They fill the basket with sulfur (its weight is as high as 70 kg!) And slowly climb steep slopes over and over again. 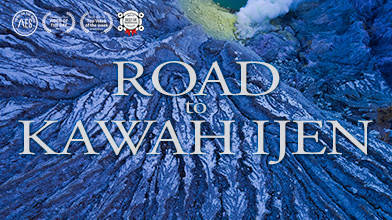 It also focuses on many beautiful scenes and people who stopped by before going to Ijen volcano.